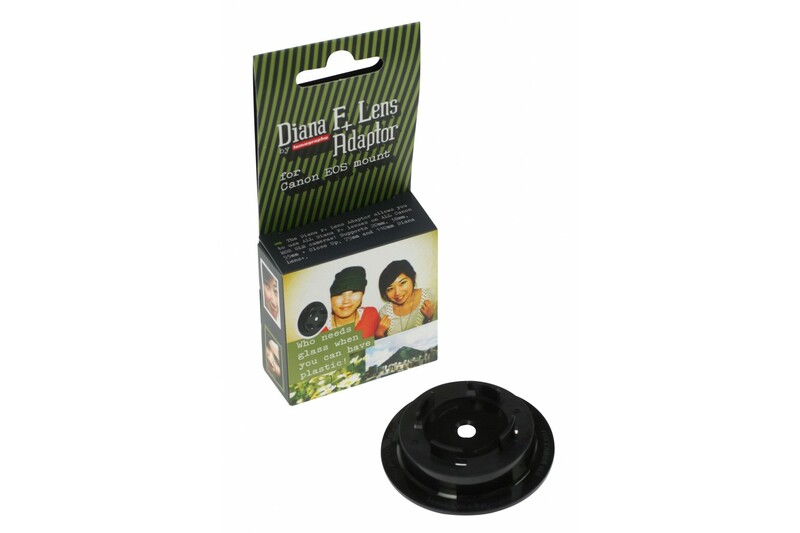 The Diana F+ SLR Adaptor Canon Mount is compatible with the Canon EOS Series SLRs and all Diana F+ Lenses. Now what does this do? It brings the world of Diana to your SLR cameras, yielding creative possibilities that were once limited to Diana F+ cameras. 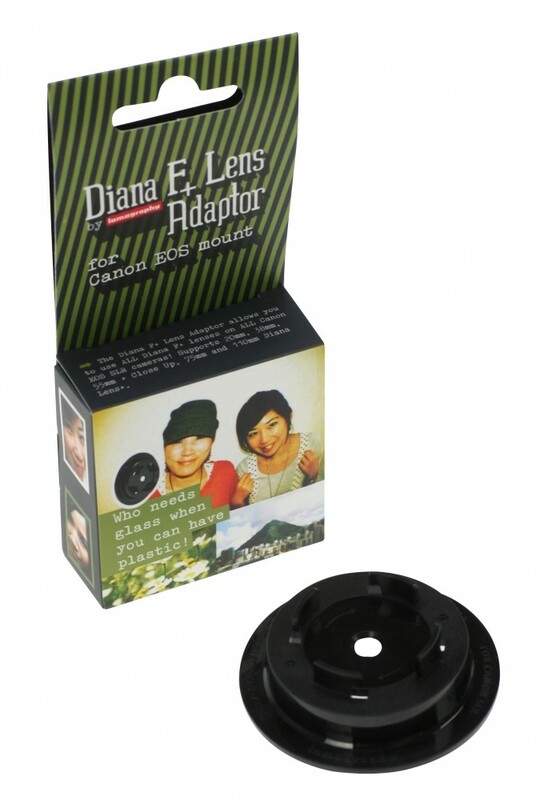 Just attach and twist the SLR adaptor to your Canon EOS mounts, and you're ready to use your chosen Diana F+ accessory. Sweeping wide-angles and crazy Fisheye techniques? Bring it on! Please read the guidelines for shooting with different types of (D)SLRs.